This past weekend, I was feeling "spur of the moment" after having to cancel several trout trips I had booked due to super high water conditions from the last storm. I asked Nikki if she would be into taking a drive east in search of dryness, sunshine, and low water. She was into the idea also, especially since we got back from Florida, the sun has been lacking and the rains have been overly plentiful. 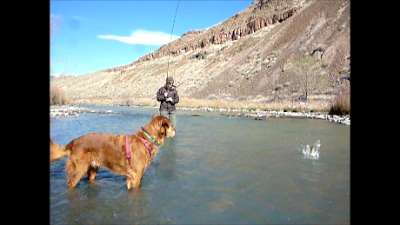 We both decided after we both got off of work, we would bolt out of town eastward to the Owyhee River. I had not fished it ever, nor had she, but I knew it has been fishing well from recent reports. Midges, blue winged olives, and skawala stones were all hatching, and the fishing was going to be better than sitting at home waiting for river levels to drop in the swollen west-side rivers. 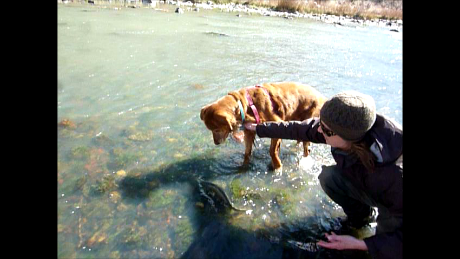 We got to the river, and it was full of big brown trout. It was also full of anglers, but we were prepared for the traffic and "human hatch" we had been warned about. It is true too that Boise people are the the most plentiful angling force out there. It is about an hour from Boise, and really far from anywhere else that is a major metropolitan area; so it flocks the anglers from there more so than Oregonian. It seemed like there were angler/s in about every decent looking spot, but the weather was sunny and warm on the first day. The fishing was great, and we caught a lot of fish on a variety of fly fishing techniques. The second day had cooler but sunny weather, and the "human hatch" was way mellower than on Saturday. 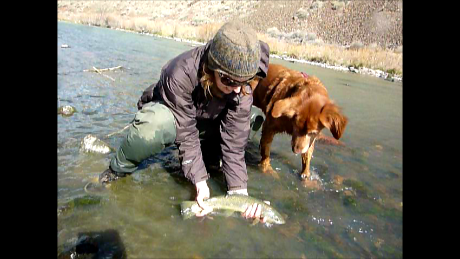 The fish were more interested in subsurface offering as well, but we caught way more fish than we did on the first day. It was really fun out there fishing with my sweetheart, and I thoroughly enjoyed watching her yard in large brown trout. We caught fish on everything from skawala stone dry flies, midge dry flies, and the best fly was a weightless nymph called a bubble top fished from the surface film to a few inches under water. It was really neat to see how well we did fishing a pattern that was not on the surface, nor on the bottom, but right under the surface. WOW,awesome post brian,i hope to get over to the O this year myself. What dave said...those are some fat browns... well done!! I used to fish that river 50 days a year plus Idaho rivers where I live. I eventually found the crowds actually mean spirited along with another local tailwater. About that time I became involved with carp and have not looked back. For your first trip you did quite well. Looks like you were able to fish the O before they raised the water on Wednesday, the 4th and after the gale force winds caused whitecaps in the pools. It is a great fishery and your photos capture it well.